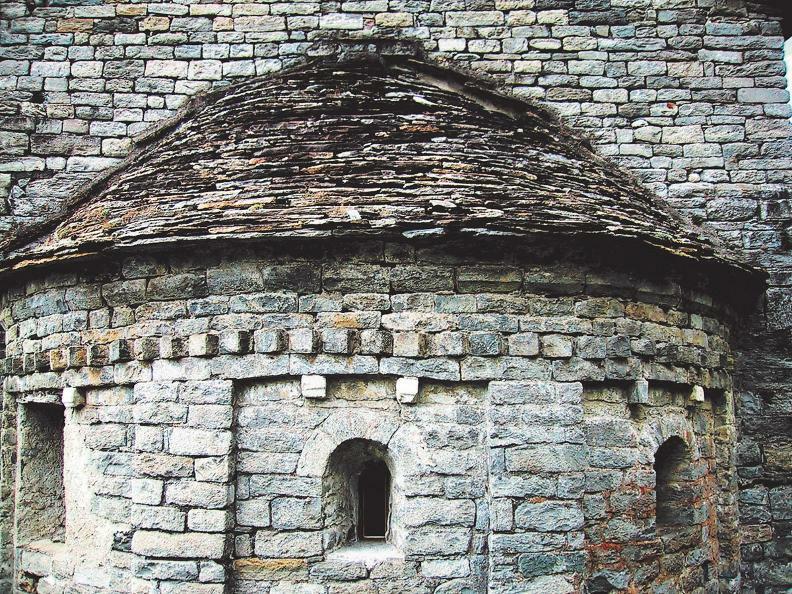 This itinerary is set in val di Blenio and consists of a short and easy walk in the area around Dongio revealing several interesting features of architectural interest. The starting point is the church of San Pietro at Motto di Dongio. Set in an isolated spot in the countryside the church it is easy to locate from a distance. 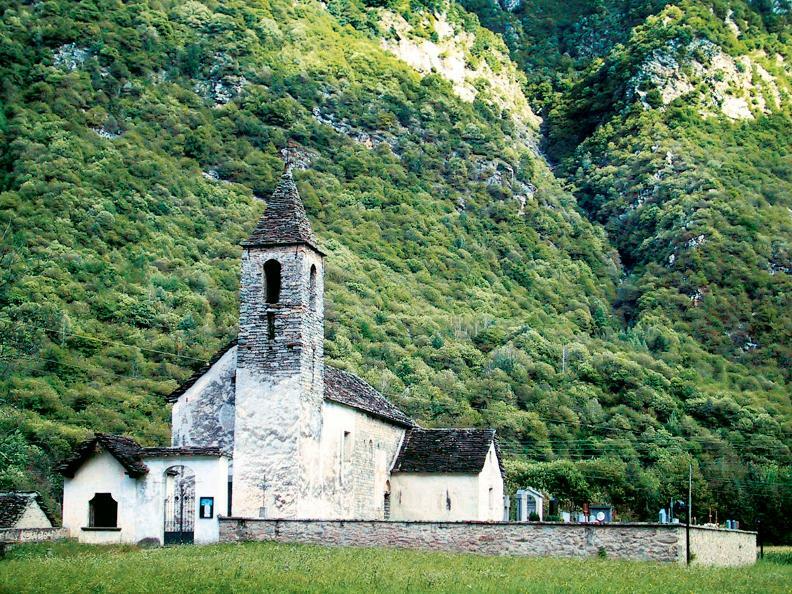 After visiting this Romanesque monument take the path towards San Remigio di Corzoneso which winds along the river bank, at times passing over country roads. 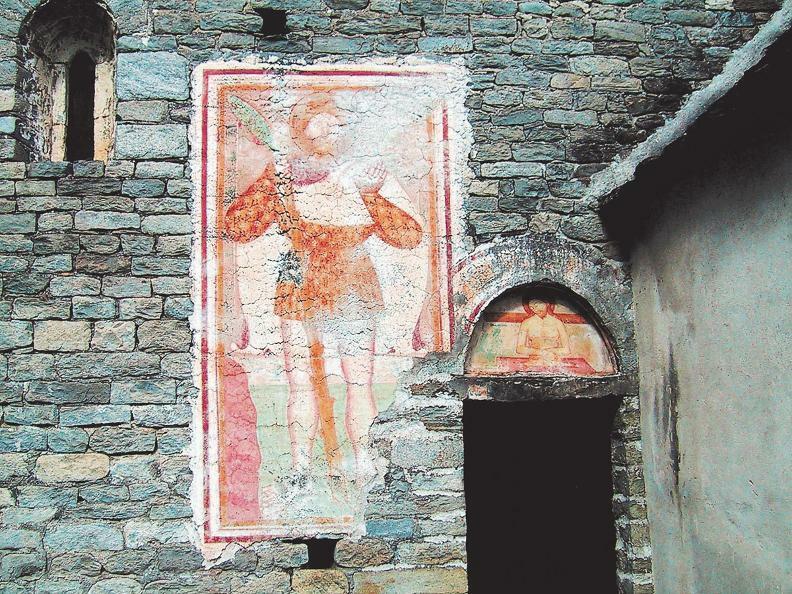 After about half an hour you come to the oratory of San Martino Viduale, where a monastery/hospice is thought to have existed at one time; a further 10 minutes and you come to Boscero, a part of Corzoneso, site of the Romanesque oratory of San Remigio. 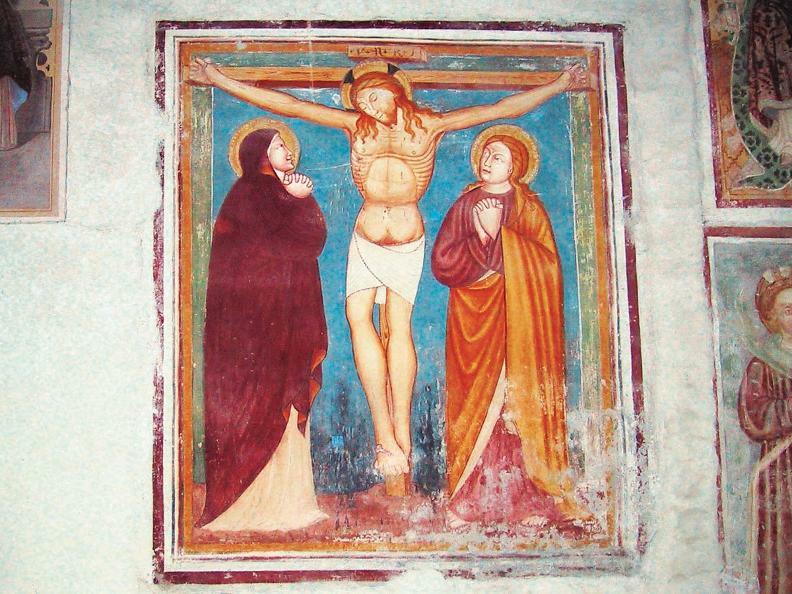 It has preserved frescoes from different eras (13thC to 15thC) as well as an interesting stucco altar. After another 5 minutes' walk you cross the river and turn back towards Dongio. Many of Dangio's inhabitants emigrated to France and England and some of them made their fortune abroad returning home to build themselves elegant houses which stand along the roadside and in the piazza. With the help of binoculars you can just make out the mysterious «houses of the pagans» on the mountainside. These were hollowed out of the rock around the year 1000, probably for defence purposes. However not even extensive archaeological research has revealed a satisfactory reason for these constructions set in such inaccessible spots. The late baroque church in the village is dedicated to saints Fiorenzo and Luca and was built by Giuseppe Stella from Milan to replace the former parish church which was destroyed by a landslide in 1758. There are also several private 'grottoes' in Dongio, that can be seen from the path that runs behind the village at the foot of the mountain; these were used as natural cool cave cellars during the summer months. Follow the sign for «sentiero basso» which starts from the Municipio. It takes about 15 minutes to reach the centre of Marogno, and a further 10 to reach the church of Santa Maria and finally San Pietro.